Prophet David Owuor of the Repentance and Holiness Church has been making headlines for all the wrong reasons following the death of Mama Rosa. The controversial prophet reportedly resurrected Mama Rosa in June 2017 after succumbing to arthritis. Her husband Samson Lotirakori sent a distress message to Owuor following the death of his wife and the prophet replied ‘it is well’… and just like that Mama Rosa back to life. Mama Rosa however died for good on January 22nd 2019. She was given a hush-hush burial to avoid humiliating the Prophet Owuor who had ‘resurrected’ her. 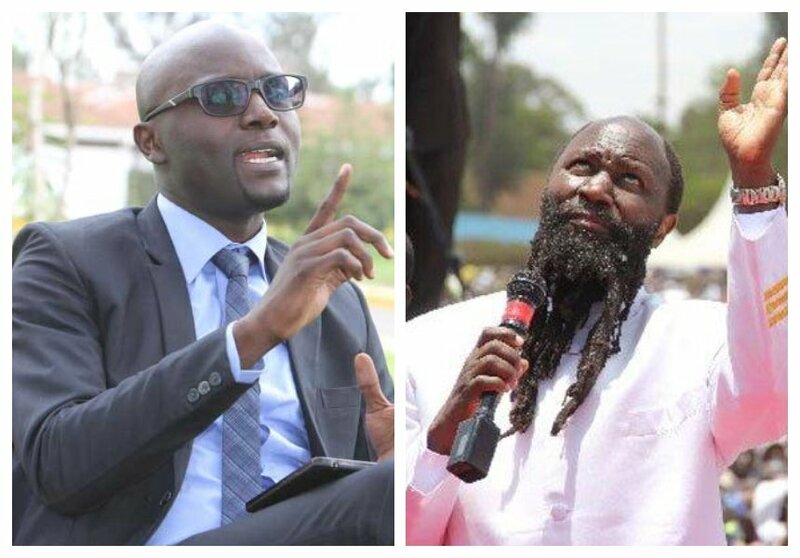 Atheists president Harrison Mumia has condemned Prophet Owour for what he termed as taking advantage of desperate Kenyans. Speaking during an interview with Tuko, Mumia said that Kenyans shouldn’t stop criticizing the prophet because he wasn’t doing the right thing. “Somebody like David Owuor is taking advantage of high poverty levels in the country to fleece already desperate Kenyans. He claims he does miracles. We should not stop criticizing him only because he says he is speaking with guidance of God. Whatever he is doing is not right,” said Mumia.